World of Nintendo - Micro Land - Small World...Big Fun!! For the first time ever build a Nintendo world in micro size! 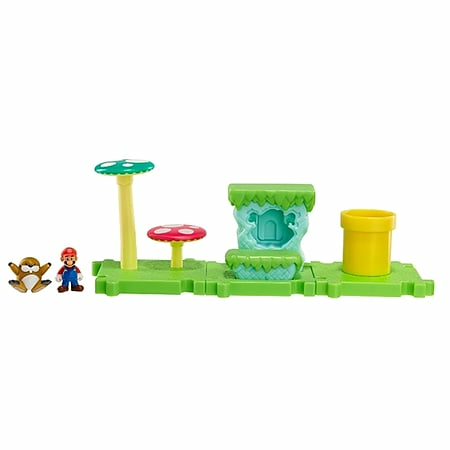 This pack incudes three different 2 x 2 connectable tile pieces that feature accessories and interactive pieces from the Super Mario Bros. U game. The pack includes a 1 micro figure. Collect them all and create your own Nintendo micro world!